Skinner & T'witch had a fantastic time on Gayle Lofthouse's afternoon show on BBC Radio Leeds, talking about their Pick n' Mix Acoustic Roots WSO Charity Festival at The Grove Inn, Leeds, from 1-11pm on October 7th! Skinner & T'witch's 'The Ageing Special Agent' played on Les Ray's Strummers and Dreamers on Cambridge FM! Skinner & T'witch's 'Snow White' played on Rob Powell's Indies & Allsorts on NNBC! Skinner & T'witch's 'The Ageing Special Agent' played on Jon 'Chip' Colcord's Out of the Woods radio show on 18 US/UK radio stations! 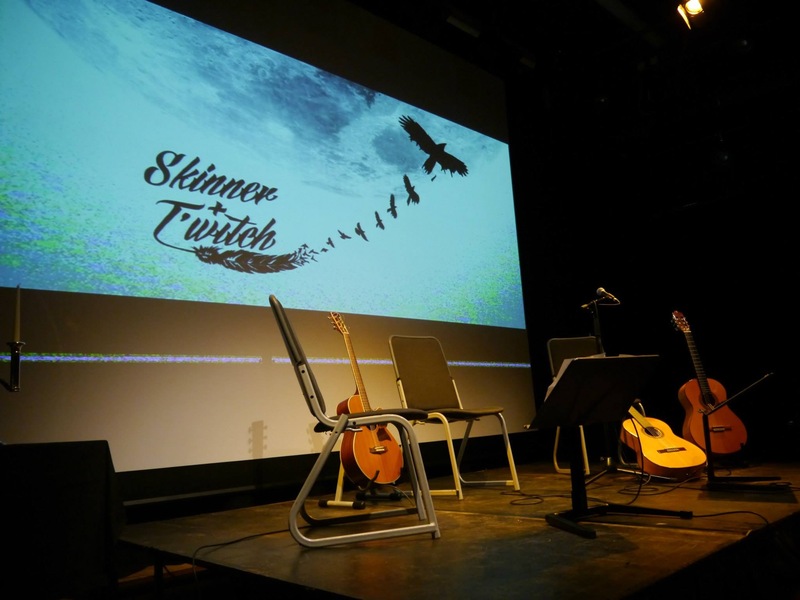 Skinner & T'witch had an excellent time playing live at Flying Folk, Ilminster Arts Centre!